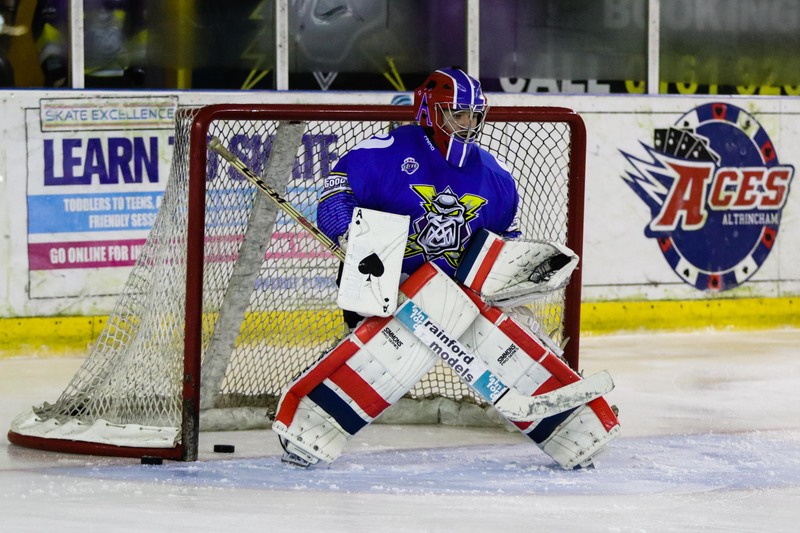 TICKETS: Your Go Goodwin’s Manchester Storm are back in home action on Saturday 17th Dec, when we take on the Fife Flyers (7pm) here at the Storm Shelter! Tickets for both games can be ordered online or by calling the box office on 0161 926 8782, or in person at the box office. 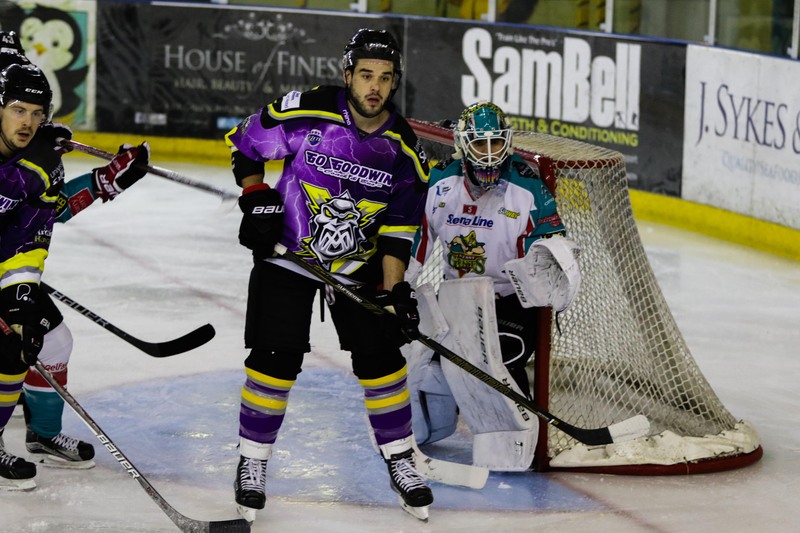 The Go Goodwins Manchester Storm go into the second leg of our CC 1/4 final against the Belfast Giants with everything to fight for, after coming away with a 3-3 draw this evening. With Mike Clemente, Eric Neilson, and Patrik Valcak all missing from the line up, plus the departure of temporary import forward, Nardo Nagtzaam, the Storm were forced to recall young forward Tom Ratcliffe from the Widnes Wild, and pull up netminder Declan Ryan of the Altrincham Aces to serve as back up. The first period saw the play go end to end, with both sides having some fantastic chances. However it was thanks to the Storms “back-up” netminder, Phil Spanswick, pulling off some fantastic saves, that kept the score 0-0 after 20 min. 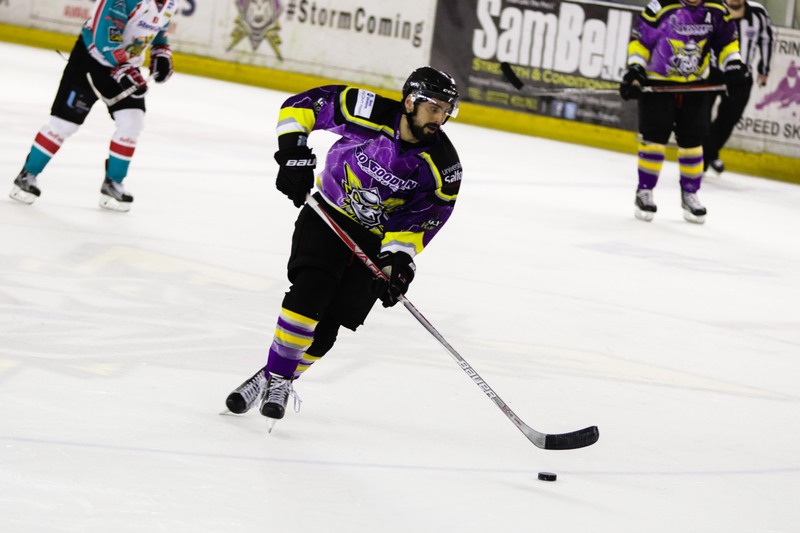 The second saw goals galore when Storm’s Captain, Trevor “TJ” Johnson, blasted home early on in the period to give the hosts the lead. The lead didn’t last for long however, as the Giants were able to level things up when Jeff Mason was able to slot home from a Chris Higgins pass. Storm continued to battle hard, and were rewarded when “Super” Mario Trabucco was able to convert off of a wonderful pass from Darian Dziurzynski. A further goal seemed to be scored moments later, but this was “washed off” and instead a penalty given against the Giants. 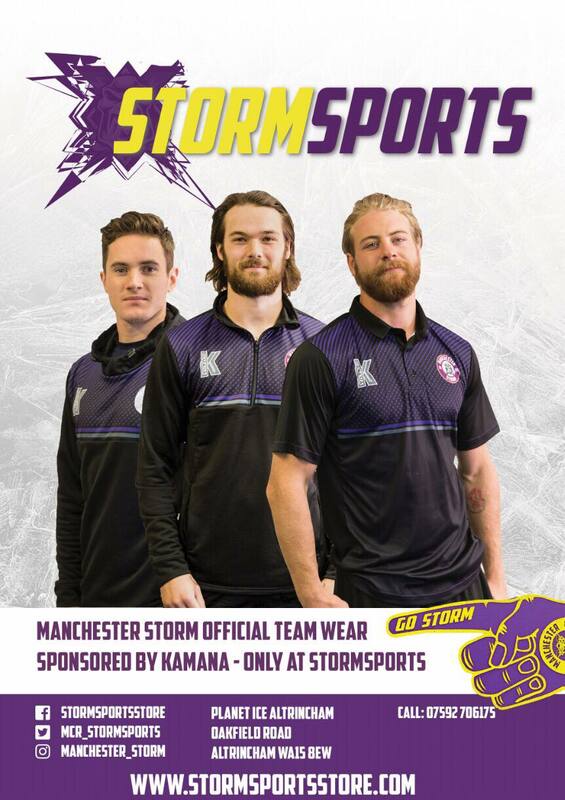 A further penalty followed less than 60 seconds later, and whilst 5-on-3, Matt Bissonnette was able to capitalise on the extra space and put the Storm 3-1 up. 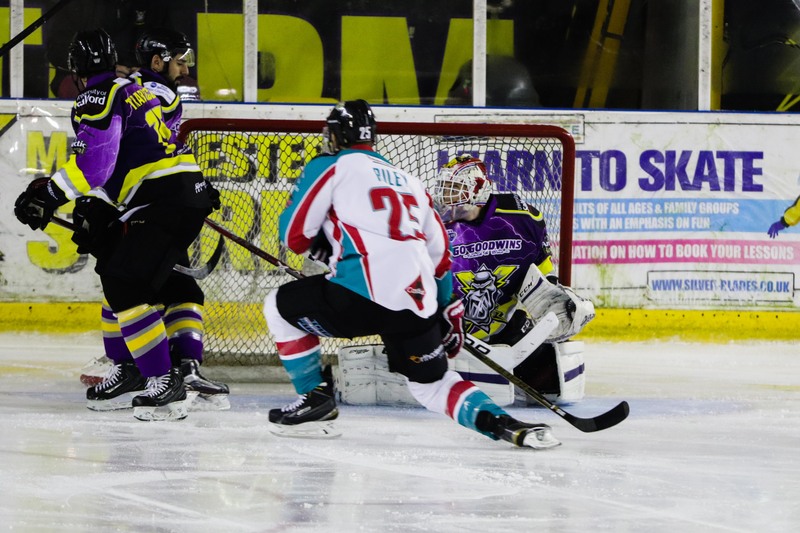 However, the Giants weren’t giving up, and with less than 3 minutes to go in the period, they were able to cut the Storms lead to one when Steve Saviano slipped one past Spanswick. The third saw the play once again return to end to end. Both teams upped their physicality 10 fold as they fought hard for the puck on the ice. Heavy hits were delivered by both sides, while tempers remained calm in comparison to the teams previous match up on Sunday. Despite the Storms best efforts, it was Blair Riley of the Giants who got the final goal of the night, slotting past Storms “Man of the Match” Phil Spanswick! The 3rd period came to an end, and being the first leg of the Challenge Cup 1/4 Final, no over time was played. The teams meet once again in the second leg on Tues 20th Dec @ The SSE Arena in Belfast.